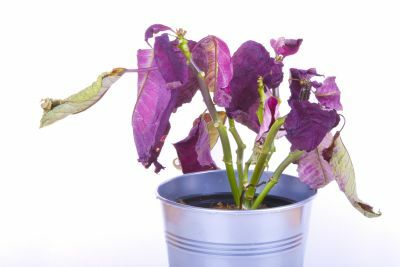 Are you a plant killer? If so, don't feel discouraged. Many people looking to add a touch of green to their homes end up on the "most wanted" list. Luckily for them (and perhaps you as well), plant killing isn't a crime. Also, there are a few plants that can survive even the most neglectful of plant keepers. If you think that keeping houseplants healthy is out of your league, then give these hardy friends a chance to shine in your home. Air Plants - Also known as Epiphytes, these plants derive most, if not all of the moisture and nutrients they need from the air. They can be put almost anywhere in your home, and are virtually indestructible. These plants don't even need soil. At most, they'll need a light mist every few months. Succulents - These plants are known for their large, fleshy, unusual appearance. A common misconception about Succulents is that they are cacti. While it is true that most cacti are succulents, not all succulents are cacti. They are relatively cheap to purchase, and once rooted, can be a beautiful addition to your home. Given the abundance of varieties to choose from, odds are you'll be able to find a succulent that complements any home style. Aloe - Not only is aloe a succulent, it is one of only a few plants that can be kept for not only decorative purposes, but medicinal as well. The gel in aloe vera plants has been used for skin irritations, such as cuts and burns. The gel can also be processed into soaps. Jade - Jade is also a succulent, and can be a beautiful addition to your home. Many jade plants are purchased as bonsai trees, and upkeep is minimal. While not as hardy as the other plants on the list, this is a good plant to take a shot at after you've managed to keep a few air plants and hardier succulents alive. Golden Pothos - Not only is this plant incredibly hardy, it also qualifies as an "air scrubber", removing toxins from the air in your home. Trimmings can easily be cultivated into plants, and the rate of growth can be incredibly fast. Care should be taken to avoid ingestion by pets and children.